The Arizona Department of Transportation (ADOT) released some good news for drivers Monday: The number of fatalities from car accidents across the state decreased by nine percent in 2014. While it is encouraging to see that the number of fatalities has decreased, 774 people lost their lives in auto accidents last year. Furthermore, the total number of auto accidents actually increased two percent from 107,477 in 2013 to 109,554 in 2014. ADOT continues to place emphasis on the importance of driver safety while on the roads. If you do become injured in a car crash, the Phoenix personal injury lawyers at Phillips Law Group can help you recover the full damages for your injuries. Call or text 1-800-706-3000 for a free consultation. The departments 2014 Arizona Motor Vehicle Crash Facts, detailed some of the most common types of accidents within the state. Alcohol-related fatalities decreased by six percent last year. While this type of accident has been on a downward trend over the last couple of years, alcohol still accounted for 34 percent of all fatal accidents in Arizona in 2014. There were fewer deaths from motorcycle accidents for both drivers and passengers. The report showed that 28 bicyclist were killed last year, compared to 29 in 2013 and 18 in 2012. In a state where someone is killed in an auto accident every 11.33 hours, 34 percent of those deaths could have been prevented if the people had been wearing safety devices like seat belts and helmets. Though driving is an activity that most of us do on a regular basis, reports like this continue to drive home the point that automobiles account for a large number of injuries and deaths every year. 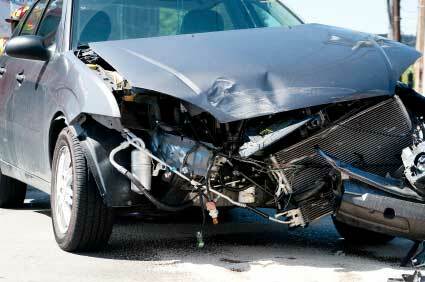 At Phillips Law Group, we understand the tragedy that so often happens because of car accidents. We have a compassionate team of auto accident attorneys who are experienced in working with the injured and their families during a very difficult time in their lives. If you have been injured in an auto accident, you may be entitled to compensation for your losses. Contact us today to see if you have a case. Call or text 1-800-706-3000 or complete the Free Case Review form.